Raven chicks are small Ravens that appear in Super Mario World 2: Yoshi's Island and its remake, Yoshi's Island: Super Mario Advance 3. 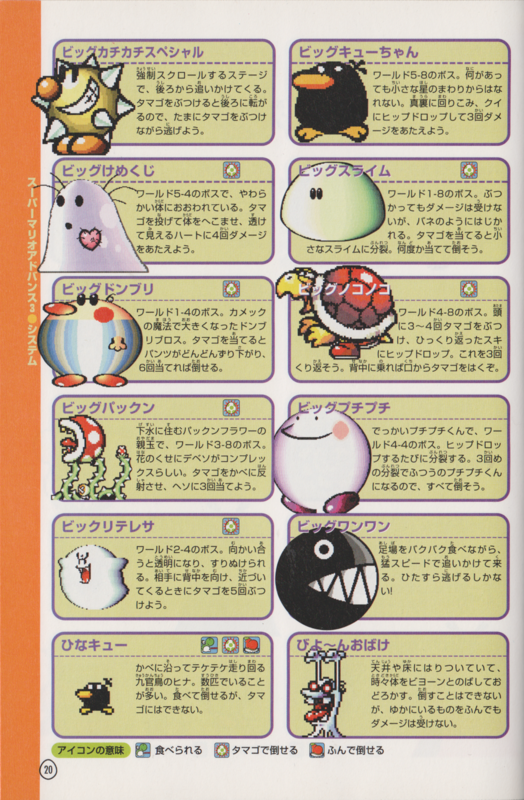 When Yoshi eats them, they are automatically digested without being turned into a Yoshi Egg. Like the larger adults, Ravens can climb walls and ceilings. Ravens return in Yoshi's New Island, where they are only found in Eggstraordinary Terrain. Unlike previously, Yoshi can lay an egg if he eats one. These Ravens are found in Super Princess Peach, giving no Vibe energy if absorbed by Perry (in a similar manner to how Yoshi could not produce eggs upon eating them). Hinakyū 「雛」 hina means chick; kyū is from the Japanese name of the Raven enemy. 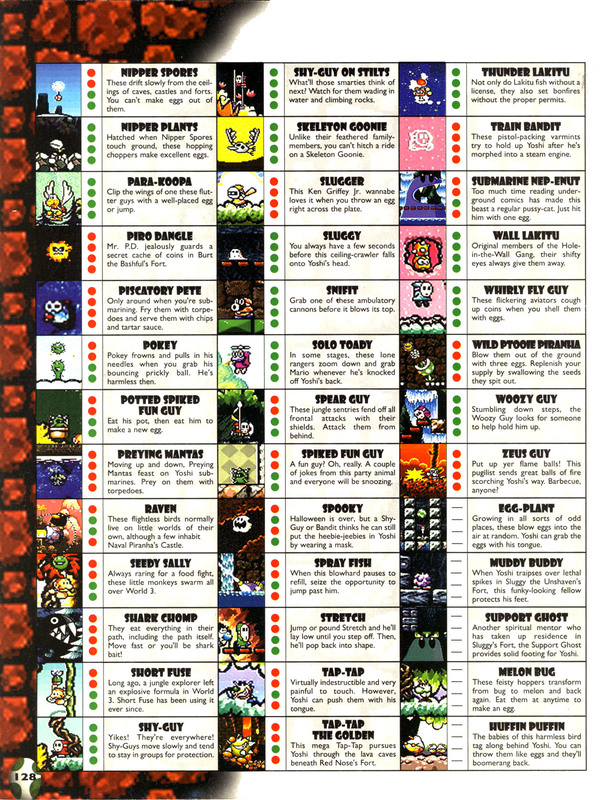 ↑ 「スーパーマリオアドバンス3任天堂公式ガイドブック」 (Super Mario Advance 3 Nintendo Kōshiki Guidebook), page 20. This page was last edited on September 18, 2018, at 21:36.